Pioneers in the industry, we offer leno bag for packing vegetables from India. Leno bag for packing vegetables can keep the vegetables fresh. Permeability of these bags helps in significant saving in energy cost in cold storage systems. Our bags keep products safe and fresh for long durations have excellent re-usability. 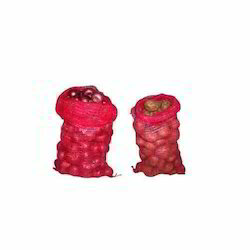 Our range of bags are capable of carrying fruits and vegetables in bulk quantity.